When Donald Trump says, “This election is rigged”-he should know. His buddies are rigging it. 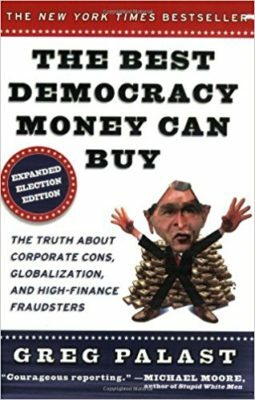 Rolling Stone investigative reporter Greg Palast busted Jeb Bush for stealing the 2000 election by purging Black voters from Florida’s electoral rolls. Now Palast is back to take a deep dive into the Republicans’ dark operation, Crosscheck, designed to steal a million votes by November. Crosscheck is controlled by a Trump henchman, Kris Kobach, Kansas Secretary of State who claims his computer program has identified 7.2 million people in 29 states who may have voted twice in the same election–a felony crime. The catch? Most of these “suspects” are minorities-in other words, mainly Democratic voters. Click here to download a poster to share.